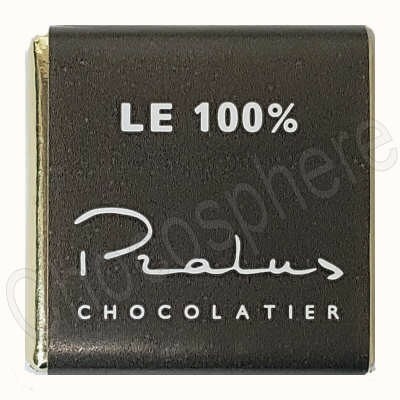 Pralus Madagascar 100% Bulk Squares are each individually wrapped pieces of unsweetened dark chocolate. Made with single-origin Madagascar Criollo cacao, the chocolate is very intense, slightly tart and fruity, delicate to the taste, and slightly acidic. Some prefer to enjoy such an intense chocolate in small amounts, and for that purpose these wrapped squares may be perfect. 238g / .52 lbs net weight. 100% Cocoa.